This is how a cycle stop valve (CSV) works: It is installed between the pump and the pressure switch/tank combination. The pressure switch and the CSV are adjusted to work with each other (sometimes only the pressure switch is adjustable). As water is used, the pressure in the well tank drops as if there was no CSV present until the pressure switch turns the pump on. As the pump pressurizes the tank to the point where the pressure is nearly adequate to turn off the well pump, the CSV regulates the flow from the pump to as little as one gallon per minute (on residential models) to as much as the pump can deliver. If there is water being used at over gallon per minute, the pump will stay on to deliver constant pressure from the pump system to the plumbing. When the water use stops, the tank is allowed to fill to an adequate pressure to satisfy the pressure switch and turn off the well pump. It's not magic! This is a modified pressure regulator with a bypass port. 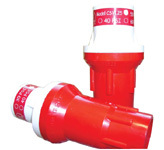 It can be used with many traditional well pumps, submersible and jet, as well as boost pumps. (1) To provide variable flow and constant pressure control more economically than VFD systems with a high degree of reliability. (2) To replace large pressure tanks and water towers. (3) Provide minimum flow required to cool the pump and/or motor. 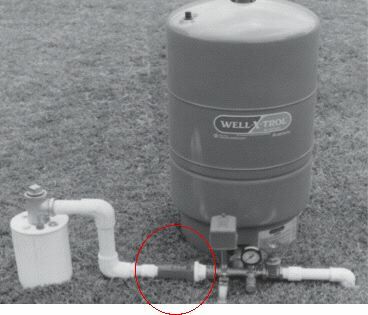 (4) Provide minimum flow to replenish the pressure tank when needed.